The Mexico of Artemio Cruz was supposed to be dead. The Mexico of the Partido Revolucionario Institucional (PRI); of corrupt and cynical insiders such as Carlos Fuentes’ fictional character was supposed to have ended with either the advent of the North American Free Trade Agreement in 1994, or with the election of a non-PRI president in 2000. January 1st, 2014 will mark the 20th anniversary of NAFTA, a free trade agreement between Canada, the United States, and Mexico. It also marks the 20th anniversary of the Zapatista occupation of portions of Chiapas (the southernmost Mexican state), including the colonial jewel San Cristobal de las Casas. To the world, Mexican President Carlos Salinas’ NAFTA vision represented a bold step ushering Mexico into the 21st century. To the Zapatistas, the free trade agreement represented the continuation of decades of heavy-handed PRI dominance and indigenous subjugation – a pattern established since the PRI assumed power in 1929. The closure of this 20-year period will elicit a flurry of papers on both subjects. Some economists will mold the raw economic data to prove, unequivocally, the success of NAFTA. Others will use the same numbers to prove that the agreement has wrought nothing but devastation for farmers on both sides of the border. Articles will recount the dramatic entry of the Ejército Zapatista de Liberación Nacional (EZLN), black ski masks, rubber boots, machetes and all, down the quaint cobblestone streets of the Chiapas highlands. We will be updated on Subcomandante Marcos, and be told that he is now far from Mexico, in Europe, or, if you have a taste for conspiracy, in Africa. The retrospectives will provoke nostalgia while the reams of statistical data will underscore how much time has passed, and how much things have changed. After all, that Mexico, the Mexico of 1994, the Mexico of syndicate kickbacks and sham elections – the Mexico of Artemio Cruz – is surely a far different place from today’s Mexico. Today’s Mexico is supposedly emerging from a drug war with a vibrant democracy and a young, forward-looking president; with a growing economy and confidence in its ability to compete with China as a global manufacturing hub. Reports have drug violence abating in the north. Mounting evidence suggests a diminished wage gap with China. The economy is growing, poverty is shrinking, and international analysts are optimistic. Oddly, the figurehead of this reinvigorated Mexico is once again a PRI President. After 12 years out of the Palacio Nacional, the PRI returned to the executive office with the election of Enrique Peña Nieto in July 2012. “The election of Peña Nieto of the PRI…helped crystalize the perception of positive change,” writes Michael Shifter of the Inter-American Dialogue. “He only took office on December 1st,” writes The Economist, “but Mexico’s new president is setting a furious pace.” “Peña Nieto can fill the void of Chávez’s regional leadership,” offers the Huffington Post. Just months into the new presidency, Nieto appears bold, energetic, and sensible. He has suggested a willingness to tackle monopolies (such as in television) and anachronistic corners of consolidated power (such as the teachers’ union). His crime plan would synergize a disparate, compromised law enforcement system, while focusing on limiting violence as opposed to battling cartel bosses. This is the new PRI, claims Peña. This is the new Mexico. Yet southern Mexico does not seem to match the world’s optimism. 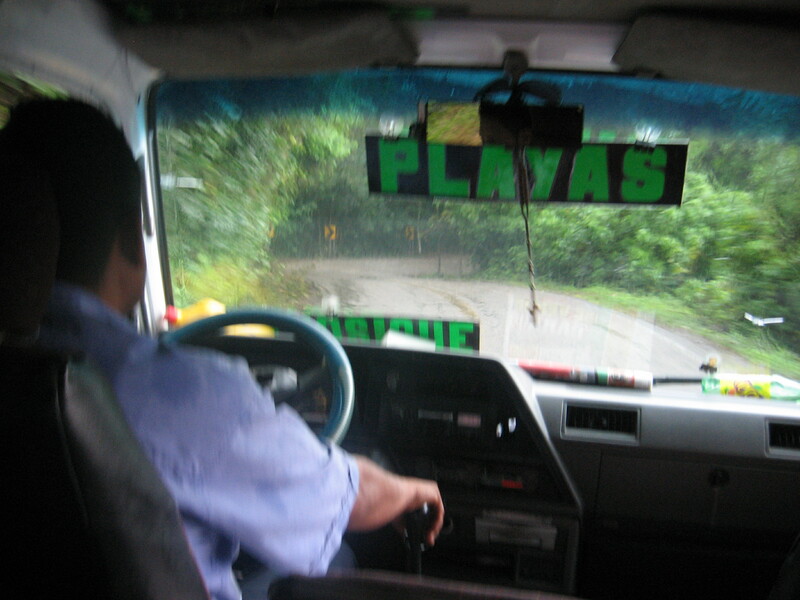 “Nothing has changed,” chuckles a taxi driver outside of Ocosingo, Chiapas. Twenty years after President Salinas pushed NAFTA through, Chiapas remains the poorest state in Mexico, with 76.7 percent of the population below the poverty line. 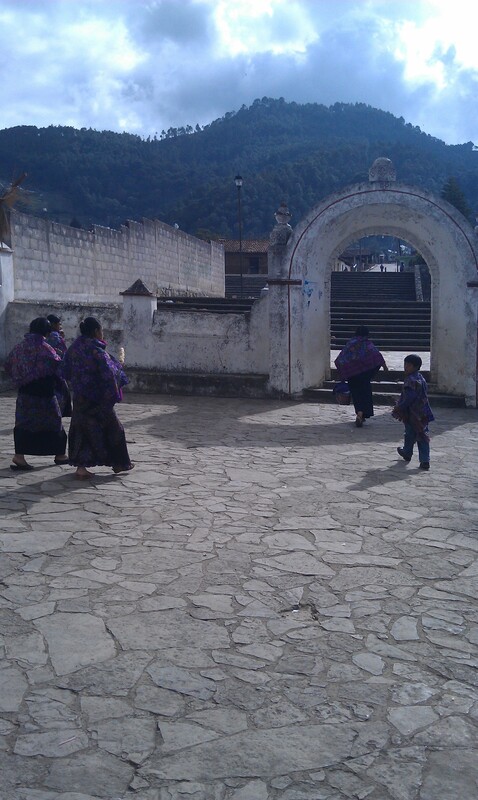 Despite chronic underdevelopment and poverty, Chiapas has been a stalwart supporter of the PRI since 1929. This historical dominance has been due to low voter turnout, cacique manipulation and intimidation of the largely indigenous population, and outright corruption. At times Chiapas has rewarded the party with over 100 percent of registered voters. In 1994, Chiapas was a carro completo (“full car”) in PRI slang, as the party held the governor’s mansion, the national senators, the federal deputies, the majority of state legislators and the municipal presidencies. Led by a PRI-PVEM coalition, the car remains full in 2013. “Nothing has changed,” the taxi driver shakes his head. 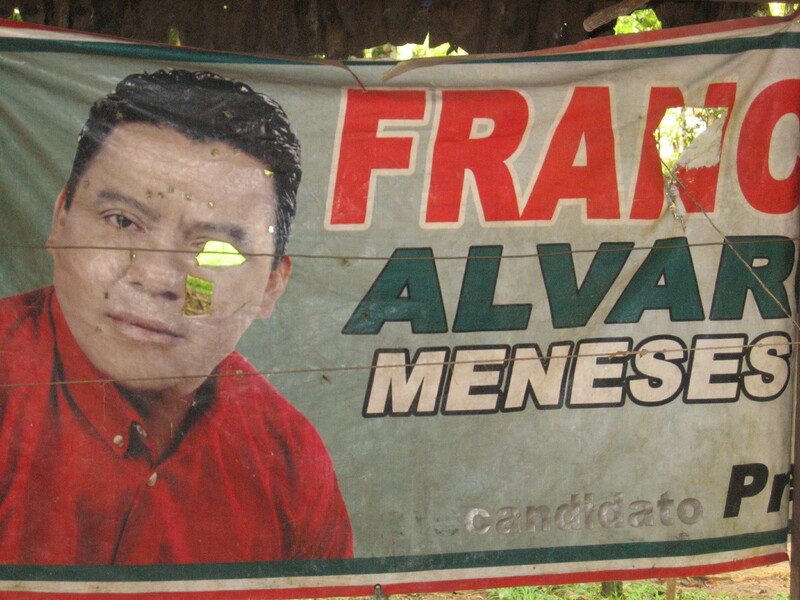 We pass beneath a billboard for recently elected governor Manuel Velasco Coello, a light skinned 33-year-old from a prominent family representing the PRI – PVEM coalition. “Maybe more European hippies in San Cristobal.” And while the dreadlock–to–scalp ratio may have increased appreciably, one can forgive chiapaneco cynicism if other elements appear little changed from twenty years ago. Nieto has taken great pains to distinguish the current PRI party from its ancestry, and, given electoral advances in Mexico, the PRI is unlikely to reestablish the machinery used to guarantee electoral victories throughout the twentieth century. But PRI maleficence ran deeper than voter-fraud. Whereas political corruption is often depicted as grime clogging the mechanics of effective governance, for the PRI, kickbacks and bribery were the oil that allowed the machine to function. From the municipal level to the national level, from the businessman to the tax man, from the drug dealer to the police officer, corruption set the tone of Mexican bureaucratic authoritarianism, just as “disappearances” set a tone in Argentina (1976 – 1983). Has the PRI been cleansed of this mentality? Or, lurking backstage, behind the curtains, behind Peña Nieto’s radiant smile, do the same PRInosaurs– the Artemio Cruz facsimiles that, over the decades have risen to the top of the party- salivate at the opportunity to recoup the power so unceremoniously stripped from them in 2000? President Peña Nieto’s major cabinet appointments offer some clues. Generally speaking, he has appointed younger party members with advanced international education. Their technocratic approach would place them right at home in the Salinas cabinet, and in fact, a number of the appointees were active PRI politicians in the 1990s. Energy Secretary Pedro Joaquin Coldwell acted as Salinas’ Secretary of Tourism; Secretary of Finance Luis Videgaray counseled the Secretary of Energy during the Ernesto Zedillo presidency (PRI, 1994-2000). Other Peña appointees carry the murky baggage that dogged Salinas’ PRI allies. Miguel Ángel Osorio Chong, the new Secretary of the Interior (a particularly powerful position in Mexico), has faced persistent allegations of connections to organized crime. So is Peña Neito the fresh-faced leader destined to raise Mexico from the ashes of the drug war? Or is his shiny mug merely a superficial facelift for the same PRI of the past? In an insightful editorial for the New York Times, Alan Riding suggests that this may be the wrong question. “Perhaps the PRI never ruled Mexico…The country was run by a political bureaucracy in league with other power centers…the PRI provided a rubber stamp.” Perhaps very little has changed in Mexico over the last 20 years. The systemic corruption was certainly not eliminated by the successive PAN presidencies (2000-2012), and the majority of state governments have remained in PRI hands throughout. And that may change someday, but it has not in the last 20 years. This entry was posted in Mexico + Central America and tagged Artemio Cruz, Mexico, PAN, Pena Nieto, PRI. Bookmark the permalink. I really liked this entry. I think the author does a great job at reflecting a persistent doubt of Mexicans and Mexicanologues alike: how much has the PRI changed? There are elements to think that the PRI has both changed and that it hasn’t changed at all; personally, I favour the idea that the change, if there is any, has not been meaningul to get rid of the limitations it’s been historically atributed with. The only criticism I would make to this entry, is the mention of the superfluous analysis from the NYT, Mexico is a par excellence example of hyper-presidentialism. Had the NYT reporter be more knowledgeable on Latin America, he’d notice the extensive scholastic literature on Mexico’s presidentialism.